Mr. Ralph Mathews, age 58, of Dawsonville, passed away Wednesday, January 2, 2019 at his residence. Mr. Mathews is survived by his Daughters and Sons-in-Law: Jessie & Josh Sheriff of Marble Hill; and Megan & Tyler Chaney of Dahlonega. Sisters & Brothers-in-Law: Cynthia & Junior Spriggs of Marble Hill; Jane & Philip O’Bryant of Jasper; and Sister: Jennifer Allen of Marble Hill. Also Two Grandchildren: Brax & Kane Sheriff. Several Nieces and Nephews also survive. The family will be receiving friends Saturday, January 5,2019 from 11:00 AM until 9:00 PM and Sunday, January 6, from 8:00 AM until the funeral hour. Funeral services will be held 2:00 PM Sunday, January 6, in the Cagle Funeral Home Chapel. Rev. Jason Hamby and Rev. Hunter Satterfield will be officiating. Pall Bearers: Mathew O’Bryant, James Satterfield, Stevie Morris, John Chastain, Kerry Veazey and Stanley Payne. Internment will be at Corinth Baptist Church Cemetery immediately following the funeral services. Cagle Funeral Home is honored to serve the Mathews family. 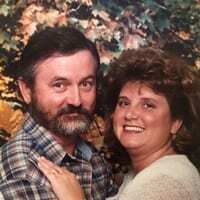 Mrs. Stacy Denise Mathews, age 53, of Dawsonville, passed away Wednesday January 2, 2019 at her residence. Mrs. Mathews is survived by her Father: Bobby Goodwin and Step-Father: Tommy Blackwell. Daughters and Sons-in-Law: Jessie & Josh Sheriff of Marble Hill; and Megan & Tyler Chaney of Dahlonega. Brother and Sister-in-Law: Wayne & Lori Goodwin of Dahlonega. Also Two Grandchildren: Brax & Kane Sheriff. Several Nieces and Nephews also survive. The family will be receiving friends Saturday, January 5, 2019 from 11:00 AM until 9:00 PM and Sunday, January 6, from 8:00 AM until the funeral hour. Funeral services will be held at 2:00 PM Sunday, January 6, in the Cagle Funeral Home Chapel. Rev Jason Hamby and Rev. Hunter Satterfield will be officiating. Pall Bearers: Pyler Goodwin, Reyton Goodwin, Stevie Watson, Jason Satterfield, Danny Norton and Dalton Norton. Interment will be at Corinth Baptist Church Cemetery immediately following the funeral services. « Previous Article What Does the Future Bode? DAWSONVILLE, Ga. — The Goodwill Career Center will hold a multi-employer job fair from 10 a.m. until 12 p.m. on Tuesday, April 10. This is a great chance to meet with hiring managers of over 15 local businesses, including Amicalola State Park, Beall’s Outlet, Big Canoe, Bojangles, GA Highlands Medical Service, HomeGoods, Kroger, Len Foote Hike Inn, Modern Woodmen of America, Panera Bread, Premier Surplus, Northside Hospital, Screaming Eagle Aerial Adventures (Zipline), Southern Switches, Wagner Services, Wahoo Docks and many more. There is no cost to participate. The center is inside the Goodwill store at 66 S. 400 Center Lane in Dawsonville. The WorkSource Georgia Mountains mobile training unit will also be onsite to offer resume assistance and skills assessments. 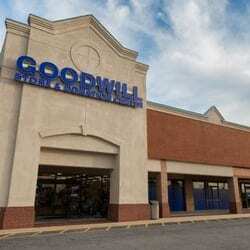 All job fair participants will receive a coupon for 25 percent off at the Dawsonville Goodwill Store. (Valid 4/10/18 only). Phil Anderson asks commissioners to support creation of Big Canoe Water & Sewer Authority. 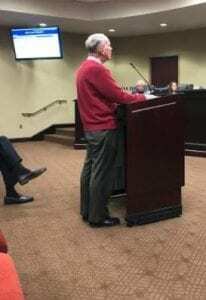 DAWSONVILLE, Ga. – A group of Big Canoe property owners are asking the Dawson County Board of Commissioners to support their effort to create the Big Canoe Water and Sewer Authority in order to purchase the assets of community’s water system. Phil Anderson, president of Big Canoe Property Owners, told commissioners during Thursday’s work session that Big Canoe Utilities, has announced plans to sell the “state-of-the-art” system. “There is a long-term interest of Big Canoe for those assets to be acquired by a public water and sewer authority that is eligible for grants and loans and able to issue tax-free revenue bonds,” Anderson said. Responding to a question from Commissioner Chris Gaines, Anderson said his group is not asking for any funding by Dawson County, but is simply asking commissioners to endorse enabling legislation to present to House Speaker David Ralston during the next General Assembly that would create the Big Canoe Water and Sewer Authority. Anderson said Pickens County has already endorsed its effort. Support from both counties is needed because a portion of Big Canoe lies within each county. 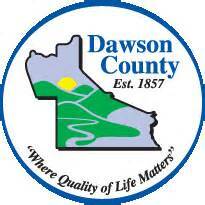 Commissioner Sharon Fausett asked if the quality and quantity of the water is a problem. Anderson said the water coming from Blackwell Creek, which supplies the system, is “very high quality” and the quantity is sufficient to meet the community’s anticipated needs. “It’s just the aging distribution system that is a serious problem,” he said. Commissioners will meet once more before breaking for the holidays and could vote on the issue at that meeting.